Nhà xuất bản: London: The Nautical Institute, 2008. 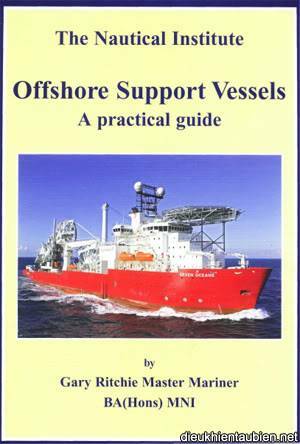 This guide demonstrates the range and scope of offshore support vessel activities. It provides guidelines for safety management needed because of their complexity. These guidelines can be applied throughout the multi-disciplinary functions on board. An underlying theme is safety and environmental management. Whether ashore or afloat the reader is totally aware that a ship at sea is constrained by the conditions prevailing and that planning is an essential part of good seamanship. Appendix: a brief history of saturation diving systems and ROVs. Được sửa bởi Bố già ngày Wed Oct 16, 2013 11:36 pm; sửa lần 1.